As well as supporting with regular bake offs, throwing ourselves off perfectly well built cranes, or running the London Marathon - we also get rather more heavily involved with some of the UK's best loved charities by being their fulfilment partner. We have a longstanding history of providing complex but agile Business Process Outsourcing (BPO) solutions for major organisations - and within that the term 'fulfilment partner' is somewhat of an understatement of the complexity of data management, ecommerce platform development, school deposit scheme management, bulk warehousing, fundraising pack collation, response handling and Gift Aid calculations that we undertake during each client's campaign. But we're always the first to stick our hands up for a challenge (!) 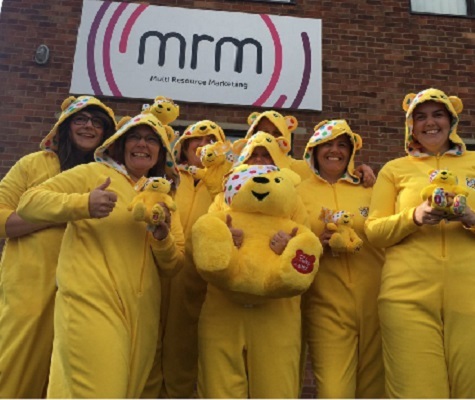 and love the sense of achievement of knowing that we, the team at MRM, played a small piece in the overall campaign success and helped raise money for individuals in need of help and support. To find out a little more about the work we do, why not take a look here or give us a call on 01858 414777 for a chat?